Co-working today is a global game that’s played by many more than just WeWork, despite the company’s valuation surging to $20 billion. But, as WeWork increasingly globalizes its focus, the U.S. firm is coming into contact with smaller players who are highly localized in markets with the potential to grow significantly. One such market is Indonesia, the largest economy in the growing region of Southeast Asia. Indonesia’s capital alone has a population of 10 million and it is tipped to overtake Tokyo as the world’s most populous city by 2020. 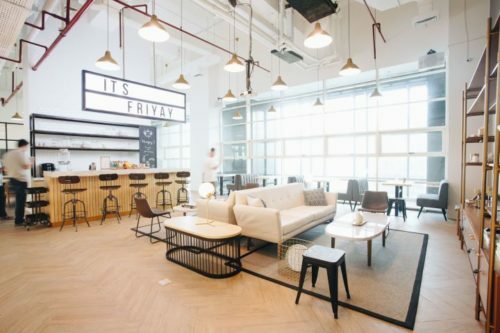 WeWork is prioritizing Indonesia as one of the keys markets in Asia but already there are strong local competitors. EV Hive, now known as Cocowork, raised $20 million earlier this year, and now GoWork, a startup formed from a merger between Rework and GoWork, has pulled in $10 million for expansion. The new capital is led by VC firm Gobi Partners and The Paradise Group, a firm that operates shopping malls, residential developments and more. GoWork currently operates 16 ‘hubs’ which are its main locations for 8,000 members and operate at over 90 percent occupancy. In addition, that reach is extended by a series of over 30 ‘spokes.’ Those are essentially smaller spaces that are designed to be accessible while members are traveling or wanting to work outside of normal business hours. They are developed in conjunction with F&B group Ismaya, so are located within their coffee shops or restaurants. That might concept might sound cute but trivial in the West, but in Asia’s megacities, the option can help with productivity. In particular, Jakarta’s roads are so traffic logged that a day of meetings could require spending hours queuing in traffic. “We want to bring productivity to all people, we think that [issues like traffic jams] are costing us all money,” GoWork CEO Vanessa Hendriadi told TechCrunch in an interview. Adding The Paradise Group to the team could help expand that spoke reach, as well as finding a new real estate for GoWork spaces. She added that, as in the West, Indonesia is beginning to see a shift in working for larger companies, not just small startups or independent workers. That’s why Hendriadi explained, that GoWork is doubling down on its focus on Jakarta and look to second-tier cities, but there’s no immediate plan to venture overseas. The goal is to grow to reach over 100,000 sqm by 2020. The GoWork CEO said that her company isn’t phased by WeWork and others like Cocowork — the latter which she said is aimed more at the mass market. Instead, Hendriadi believes that there is plenty of space in the market for a few major players. “Obviously we watch what [WeWork] are doing and we speak to building owners to know where they are going, the fact we have a two-year head start — we’re talking to major property developers with great locations — means we are not too worried. The pie is big and local players get a huge benefit that is not easily replicable by non-local players in this business as it is relationship based,” she said.